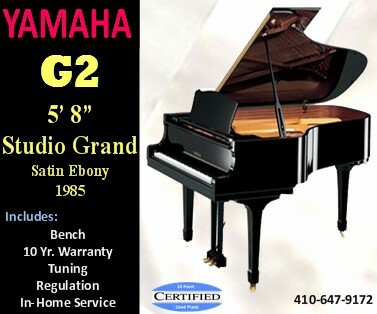 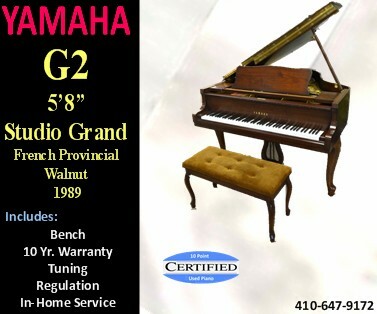 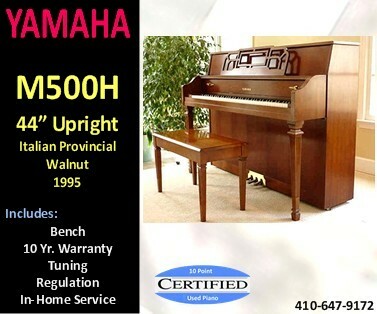 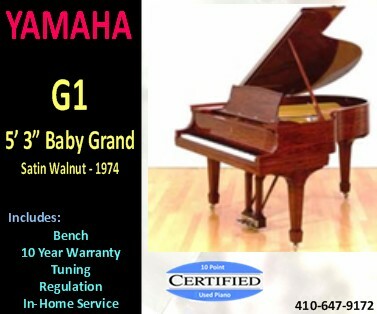 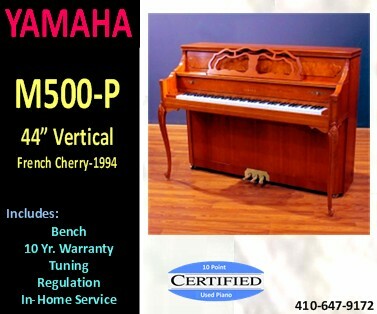 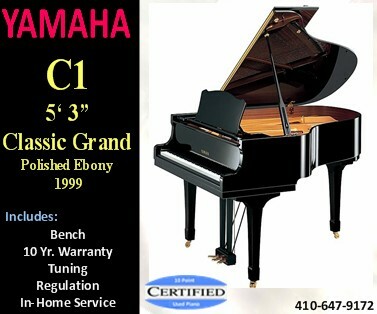 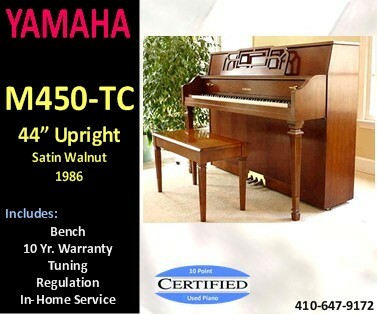 We always have a wide selection of Yamaha vertical and grand pianos in stock. 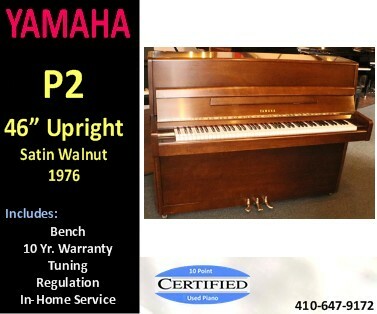 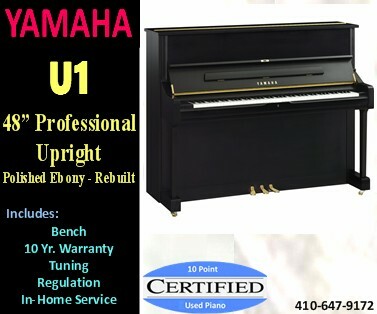 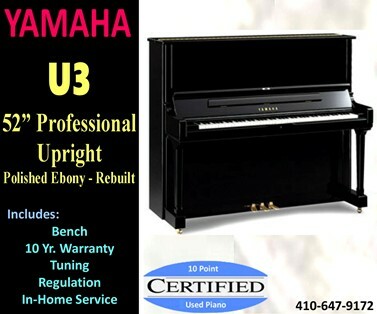 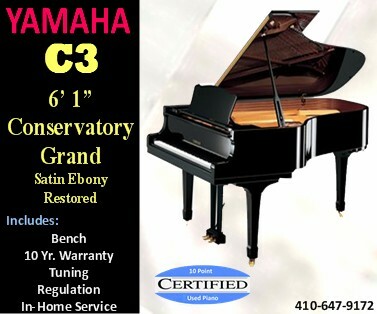 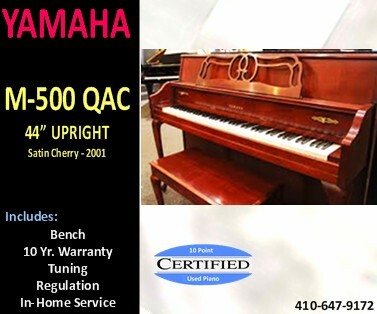 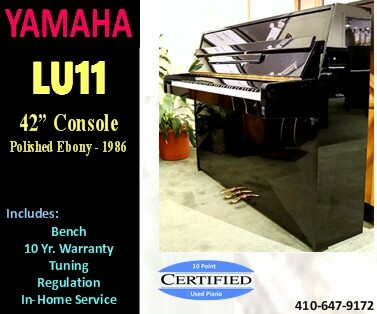 All of our Yamaha pianos have been "optimized" to enable them to perform like new. 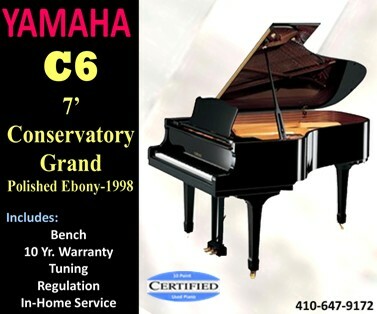 All carry a 10-year warranty.